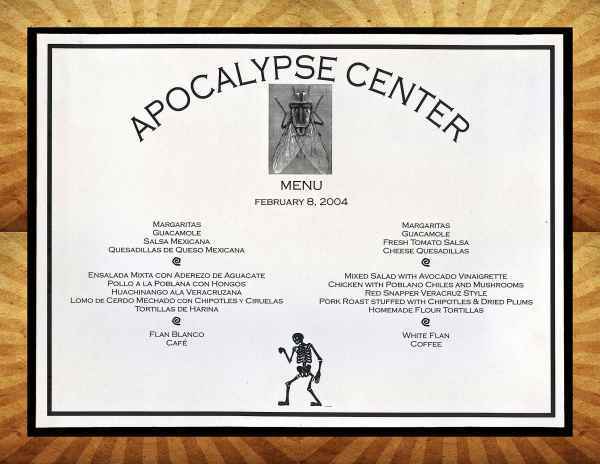 At the Apocalypse Center, "What's for dinner?" is answered with a tantalizing menu, sometimes situated in the hands of a suspended, cherubic figure, or otherwise on display. 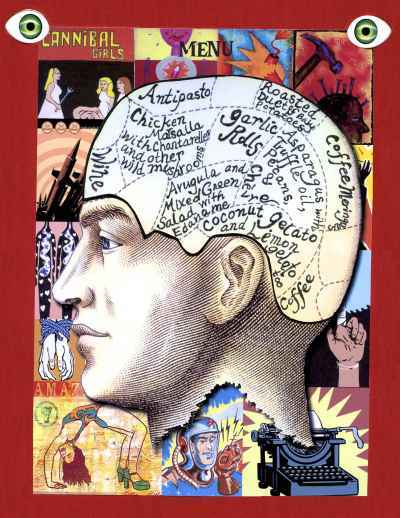 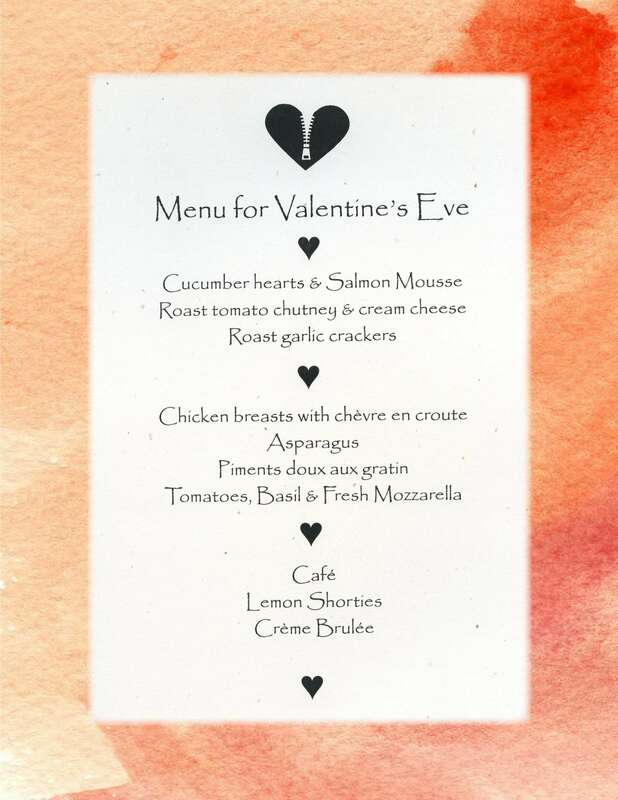 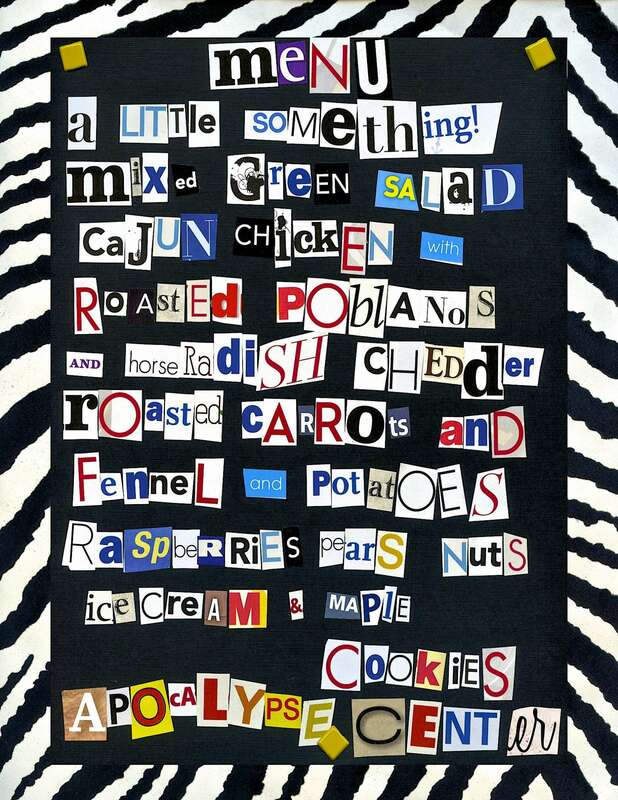 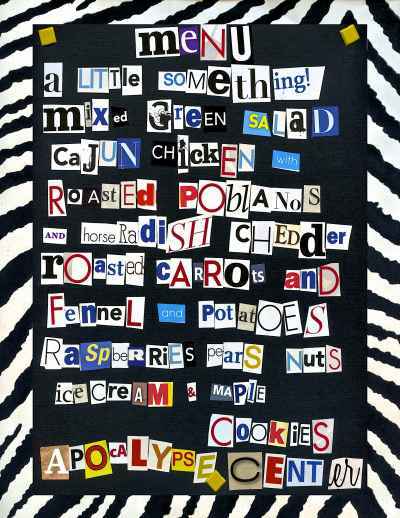 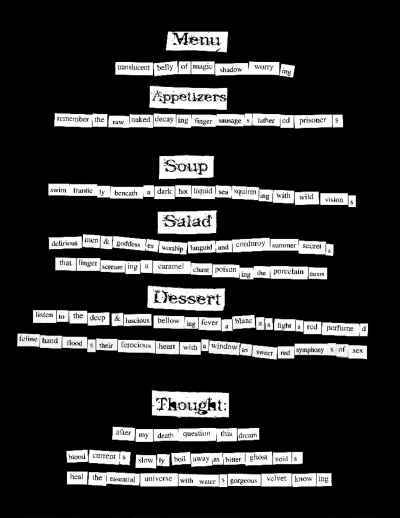 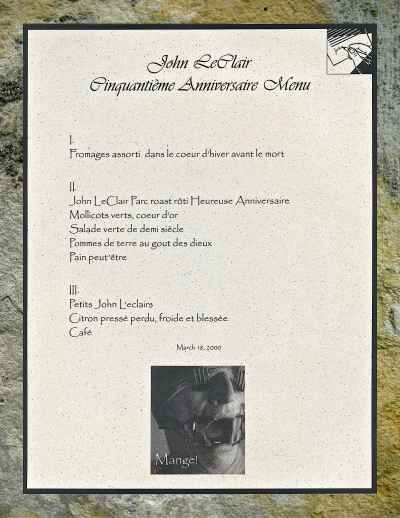 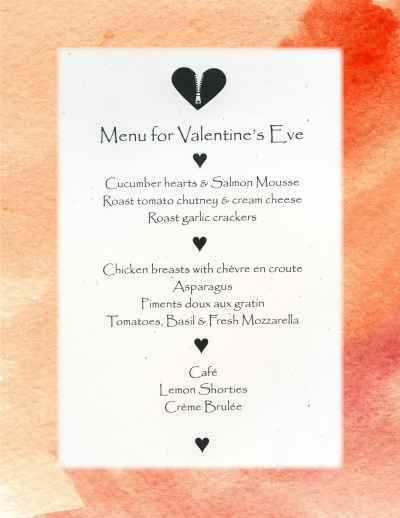 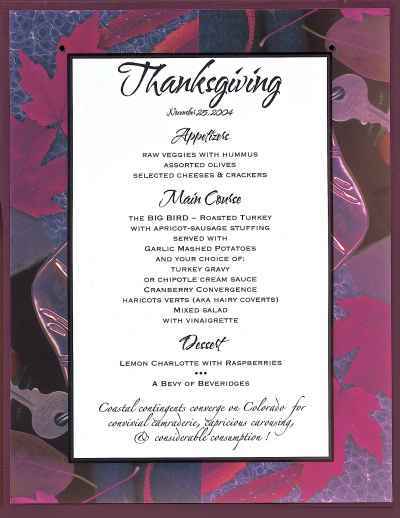 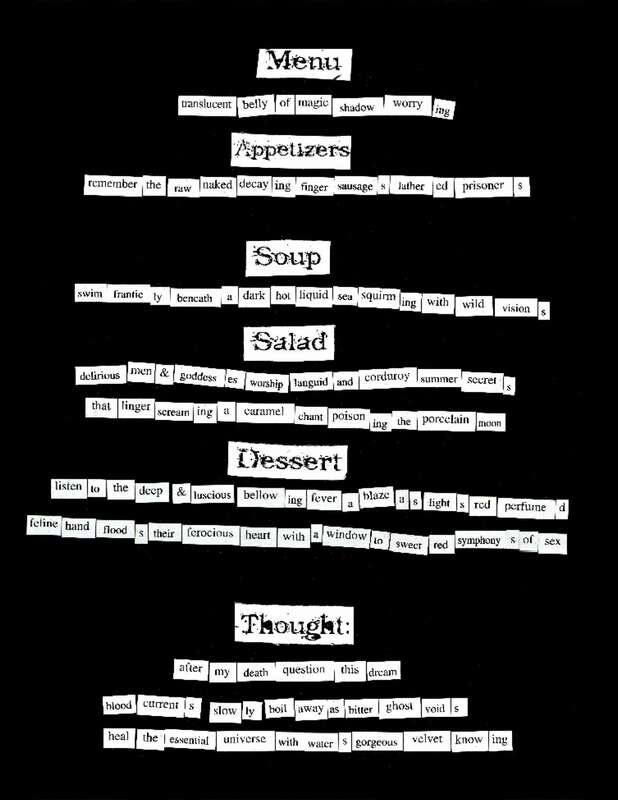 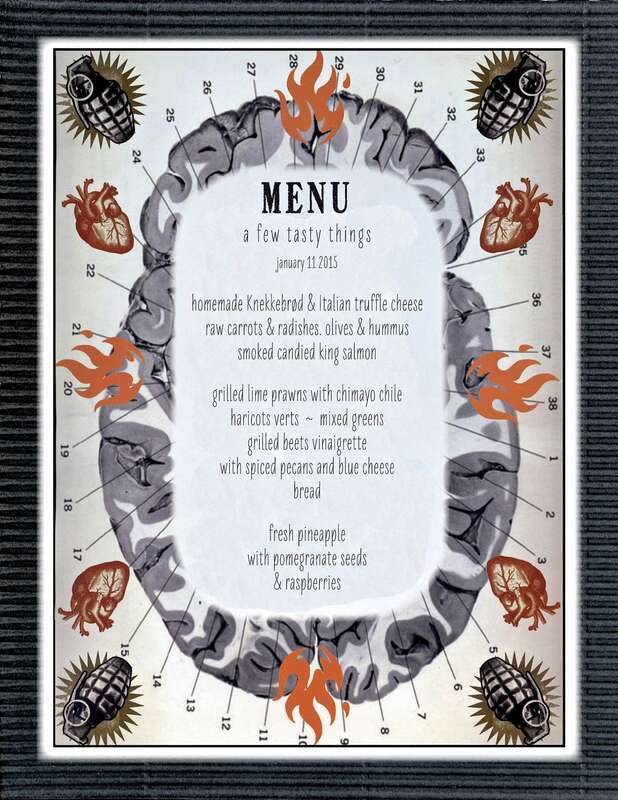 Delectable appetizers, entrées, and desserts are listed there for all to read, of course, but the menu may be in the form of a ransom note, burned on the edges, or circumscribed in a map of the human brain. 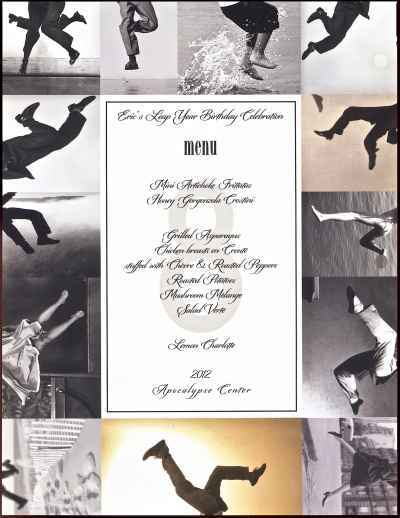 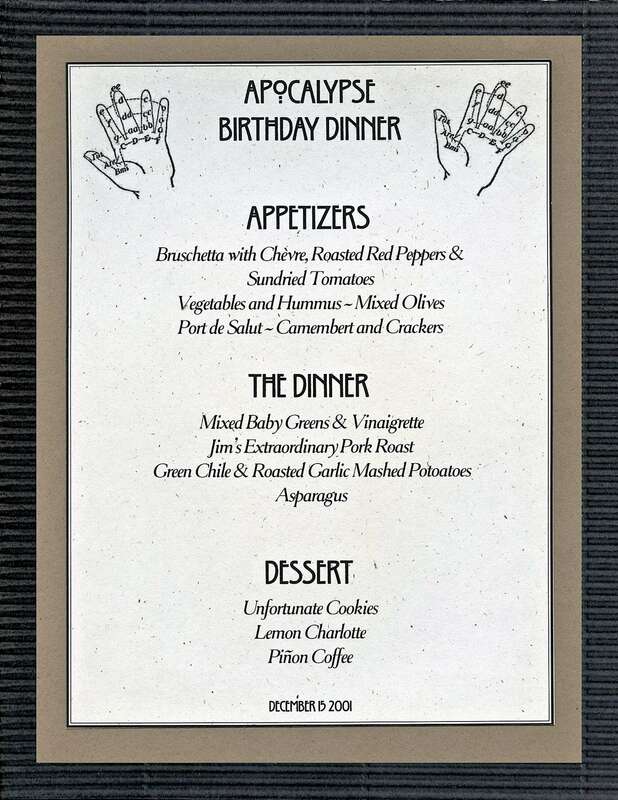 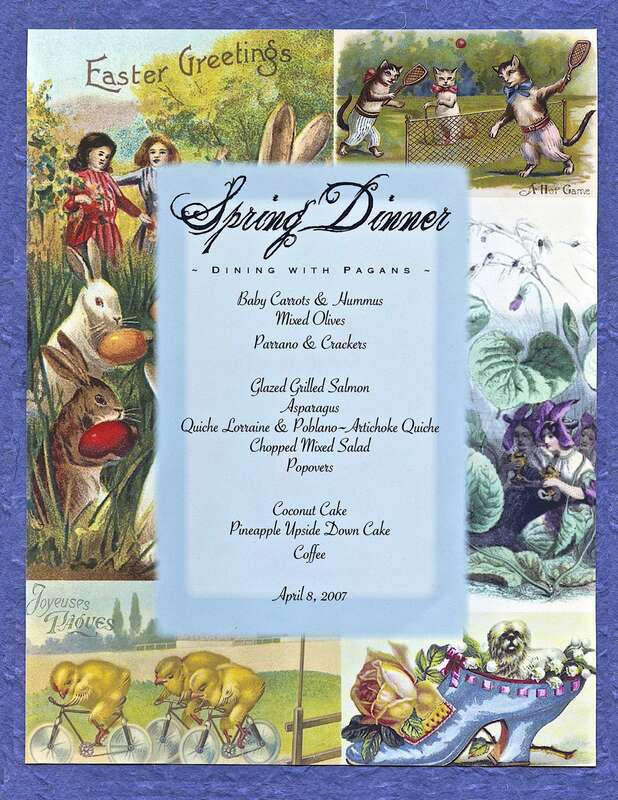 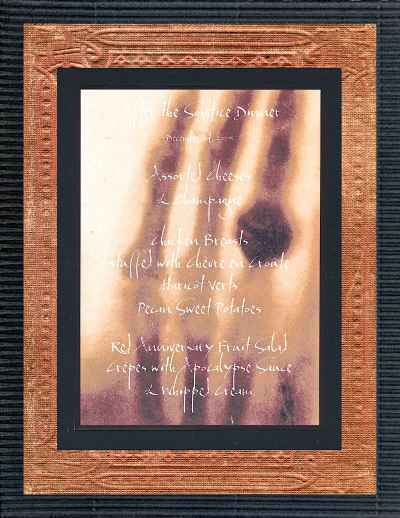 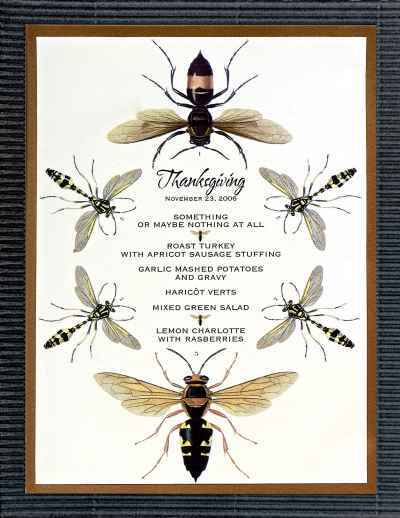 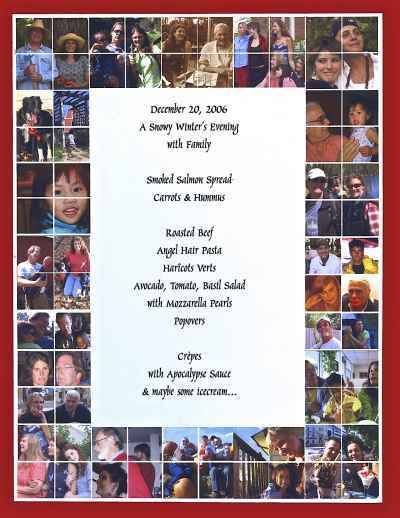 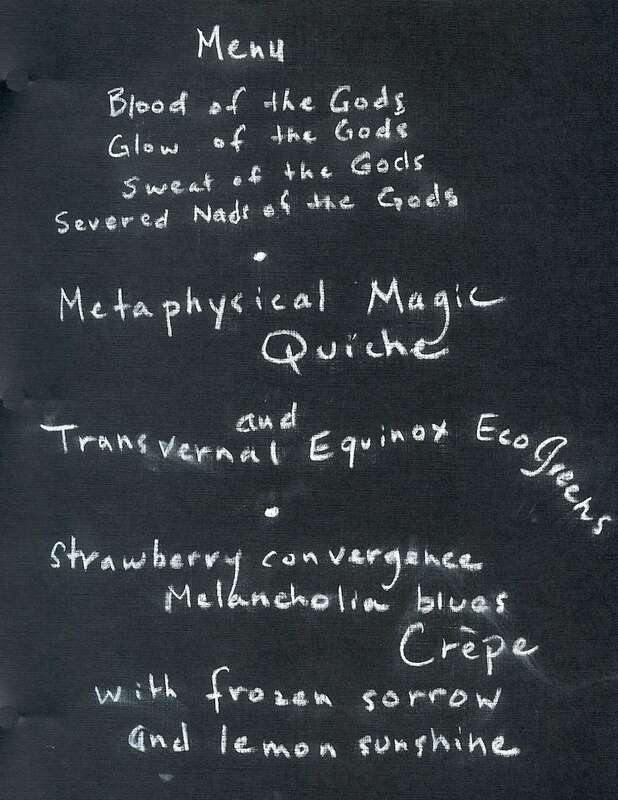 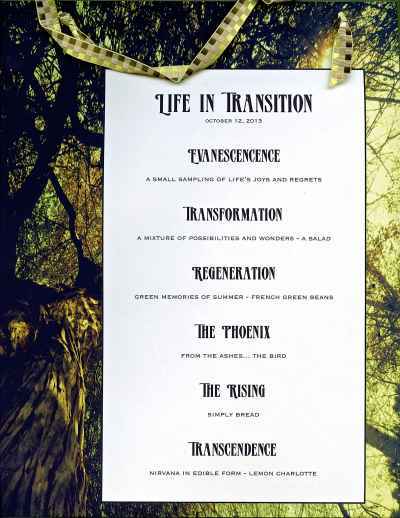 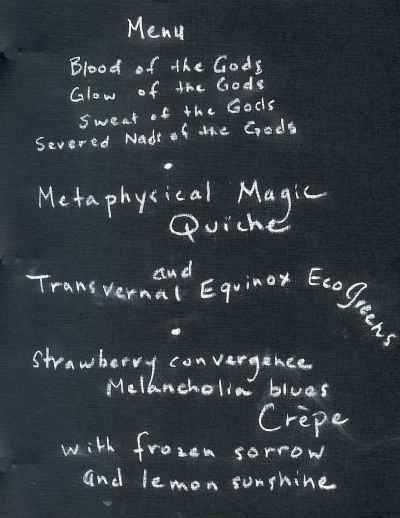 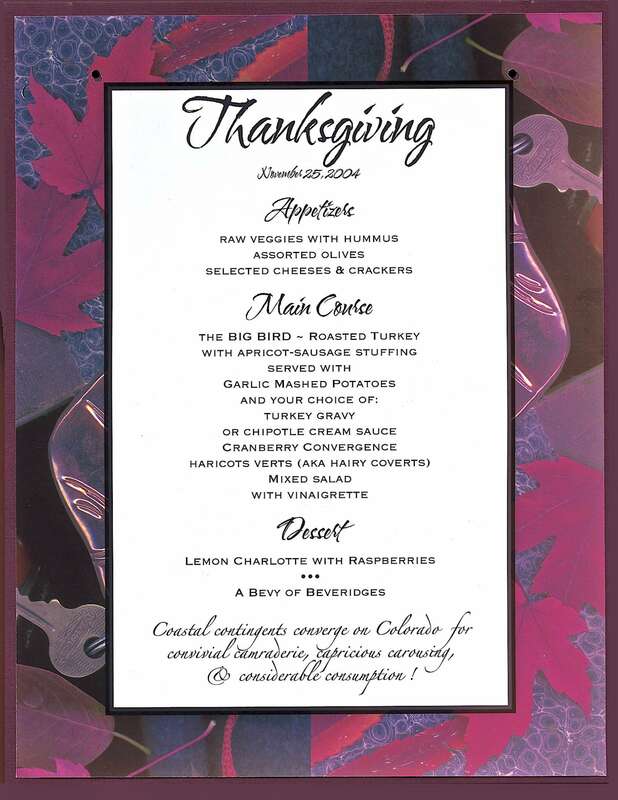 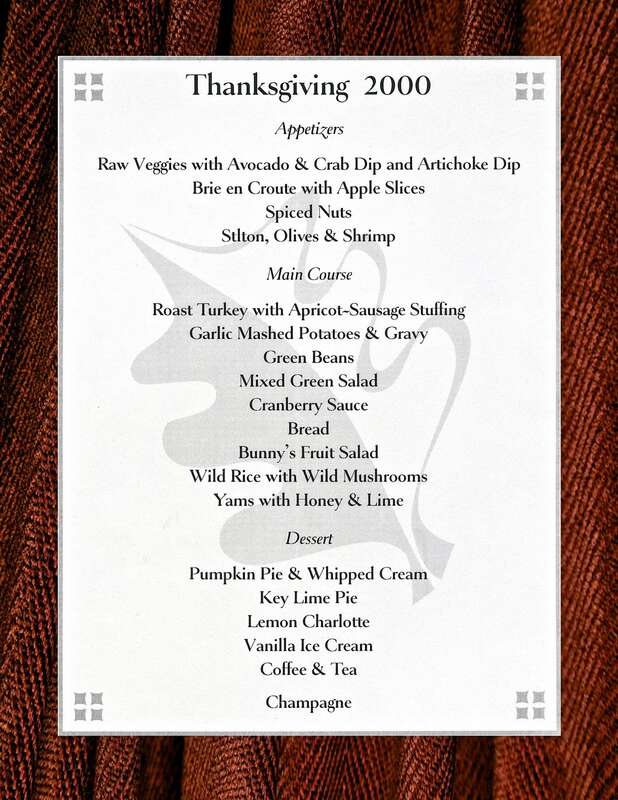 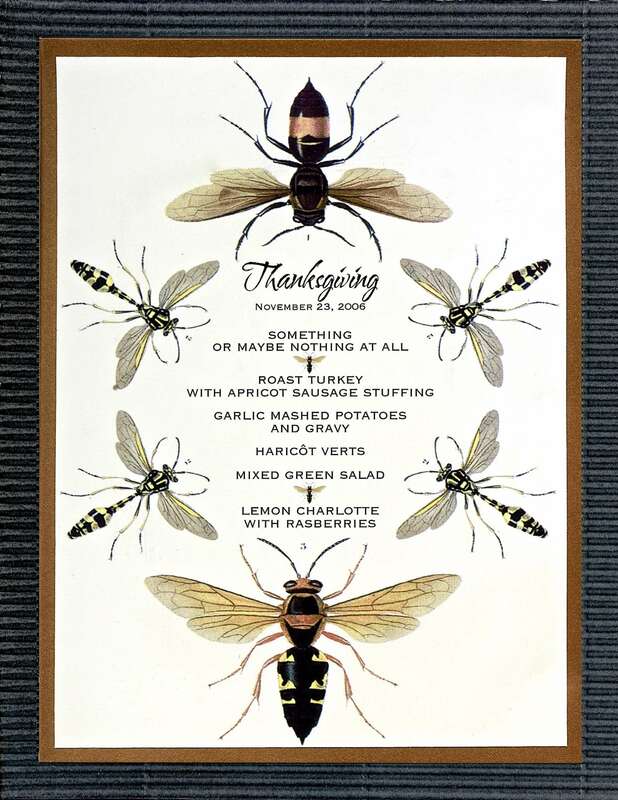 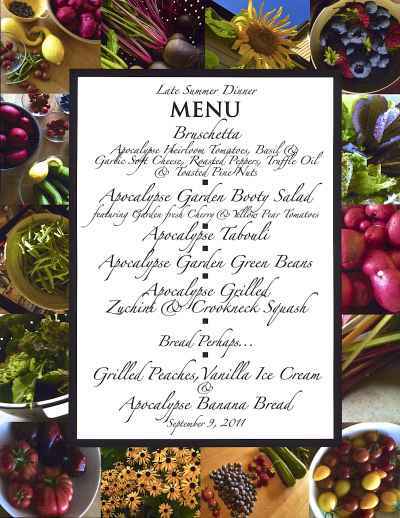 The menus are designed to celebrate seasons and occasions— solstice, equinox, feast days, bicoastal convergences, lives in transition, pagan rites, déjà vu, blood of the gods, and more. 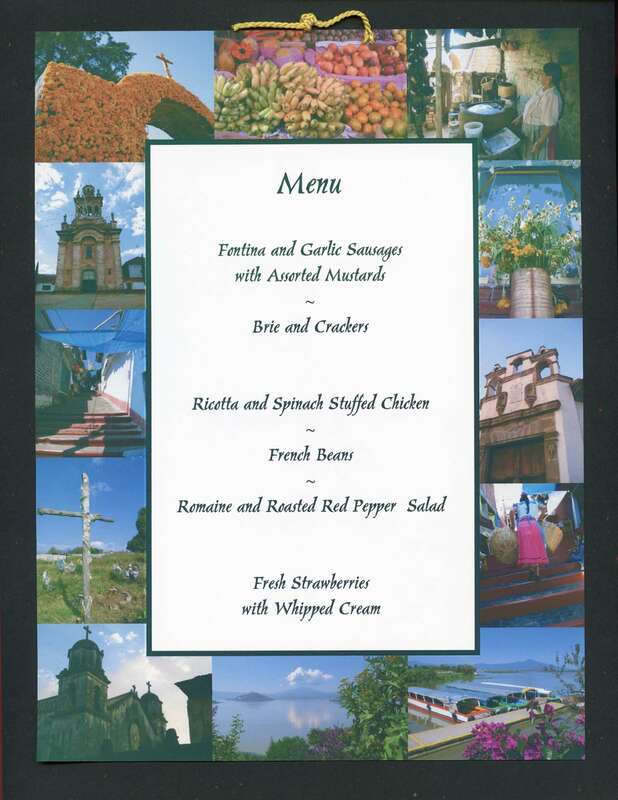 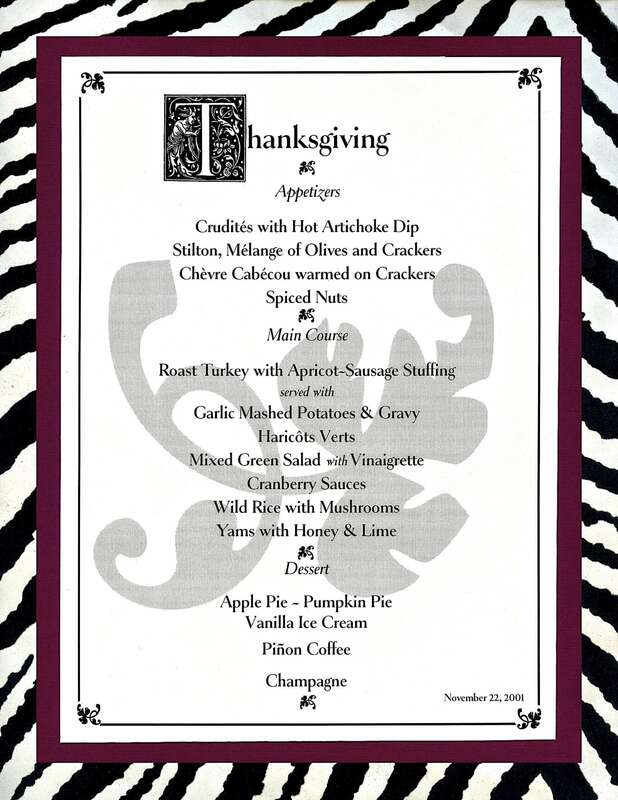 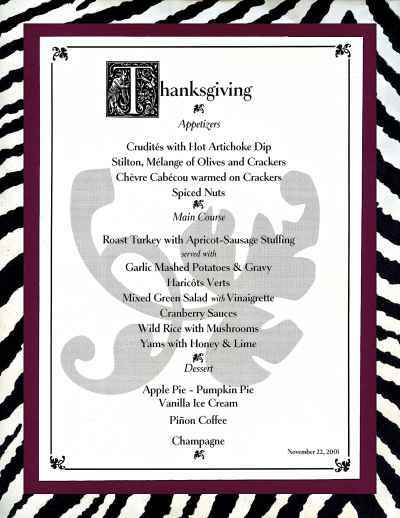 The courses and dishes are often named to capture the spirit of the gathering. 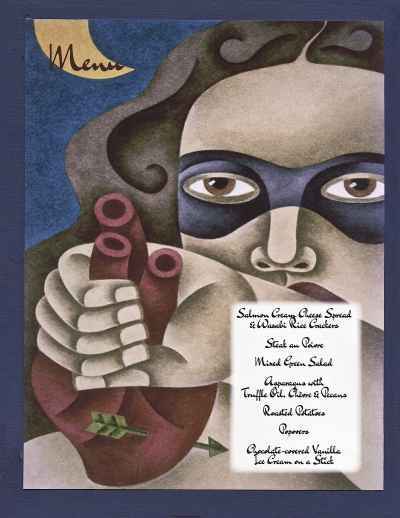 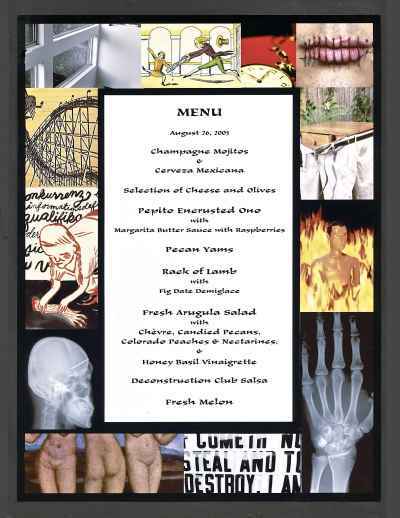 Have you ever tasted Poblano Heart Throbs or Maimed Bruschetta? 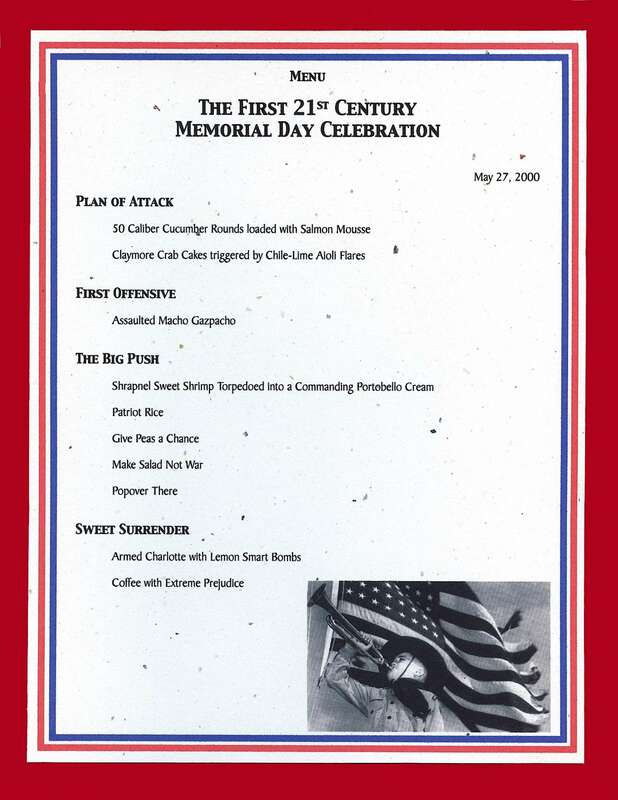 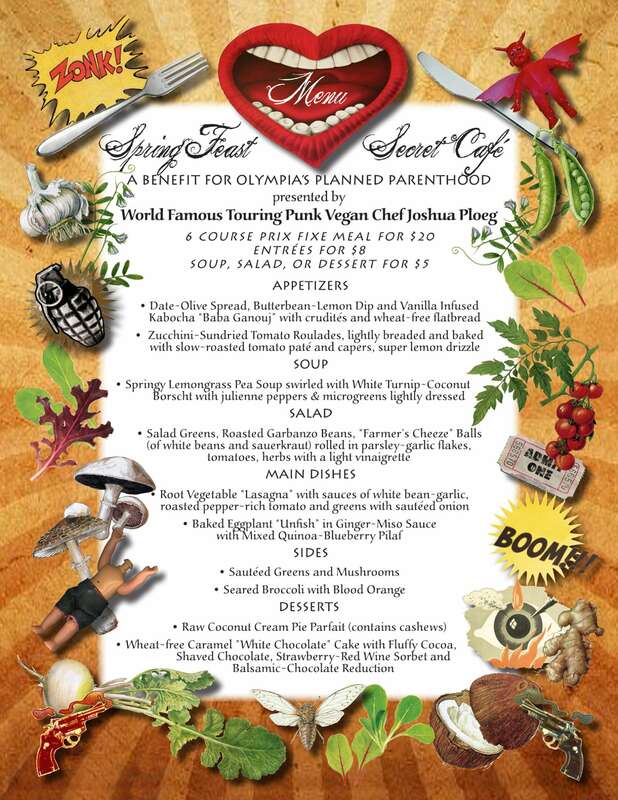 The Assaulted Macho Gazpacho is delicious, and you can find it under First Offensive in the First 21st Century Memorial Day menu. 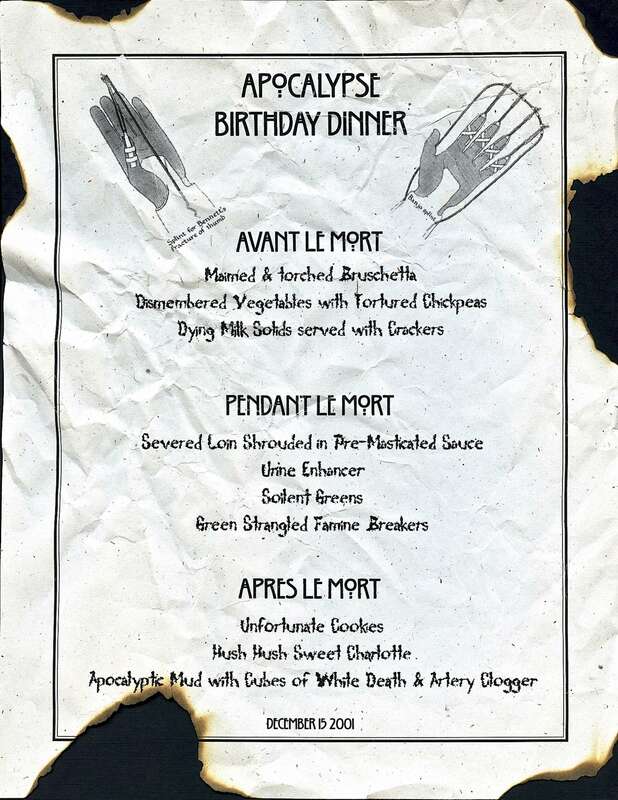 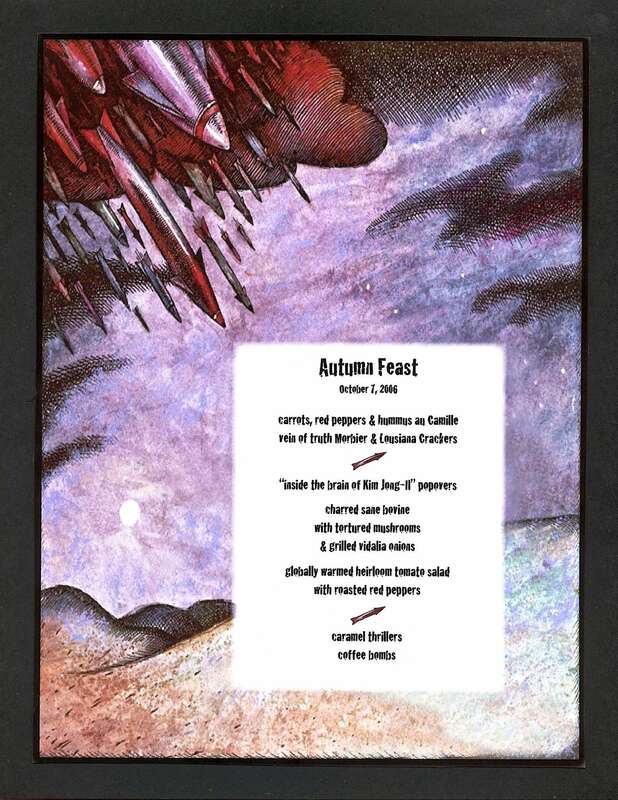 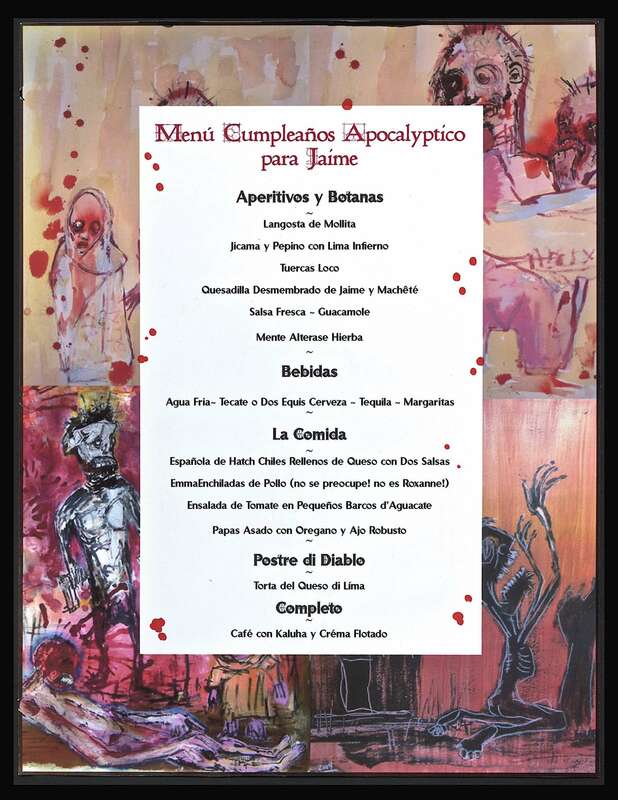 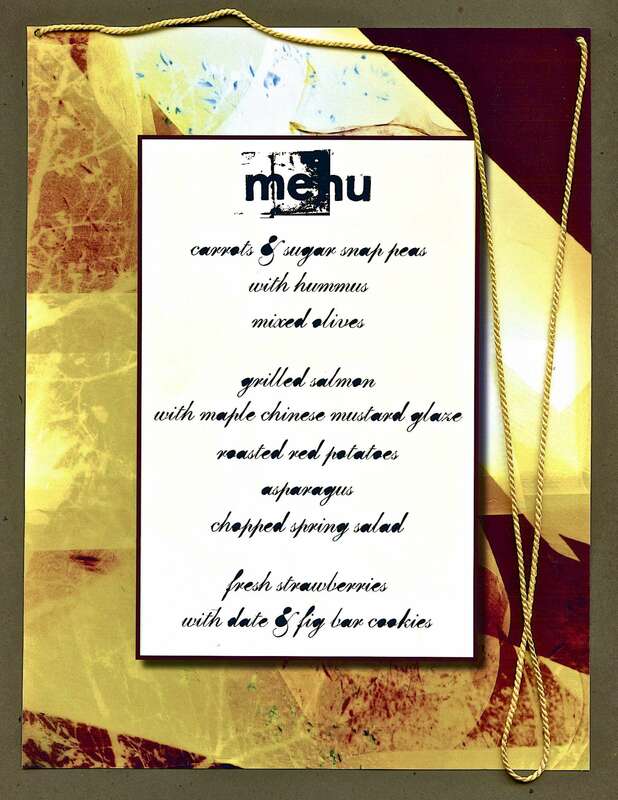 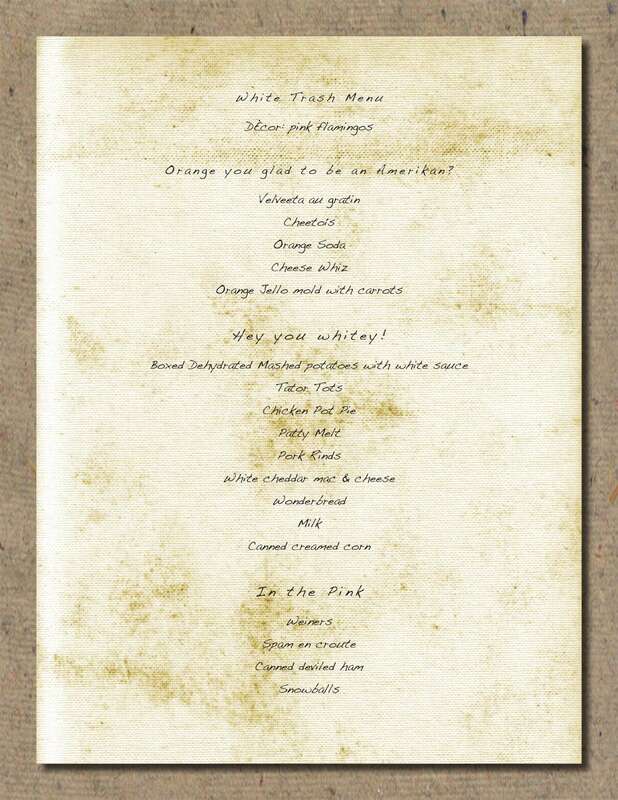 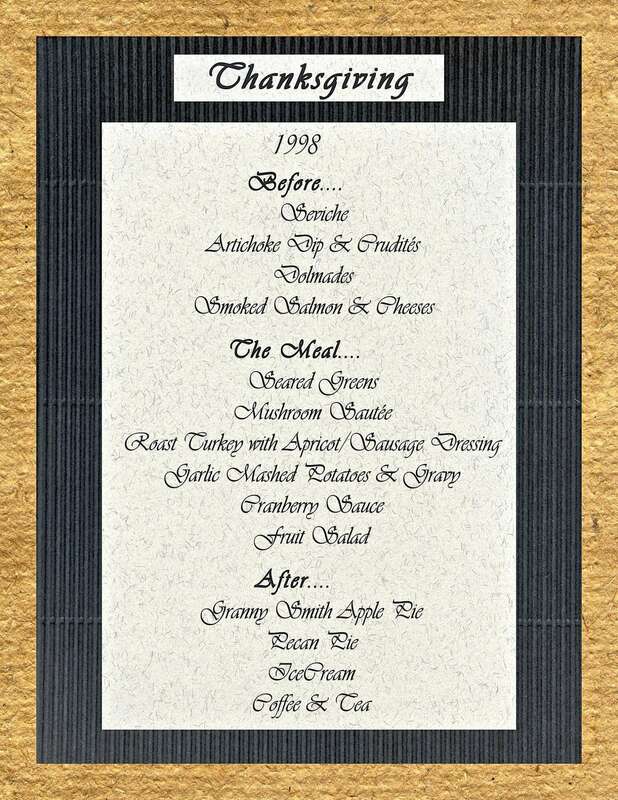 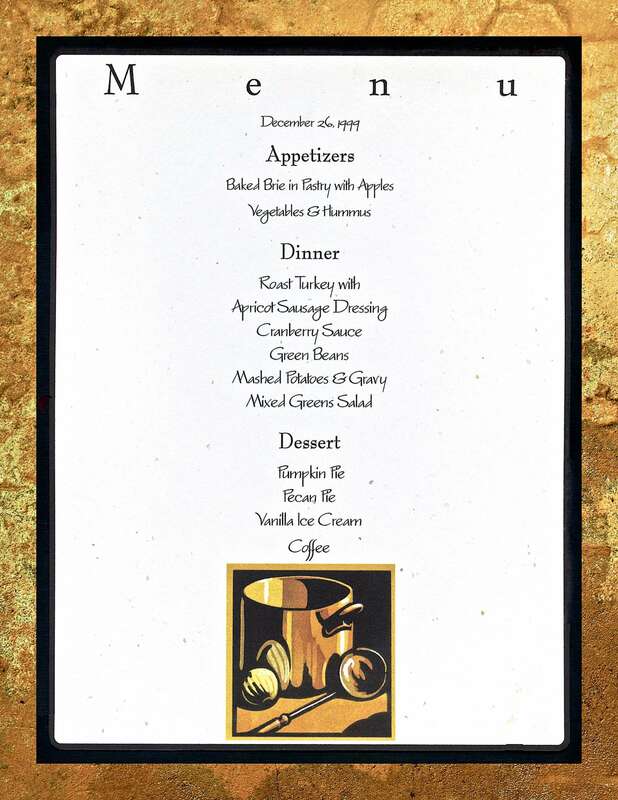 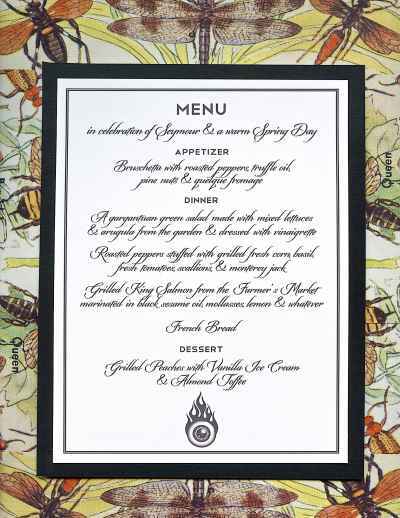 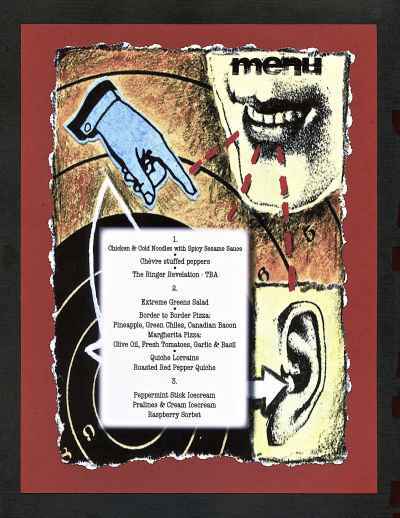 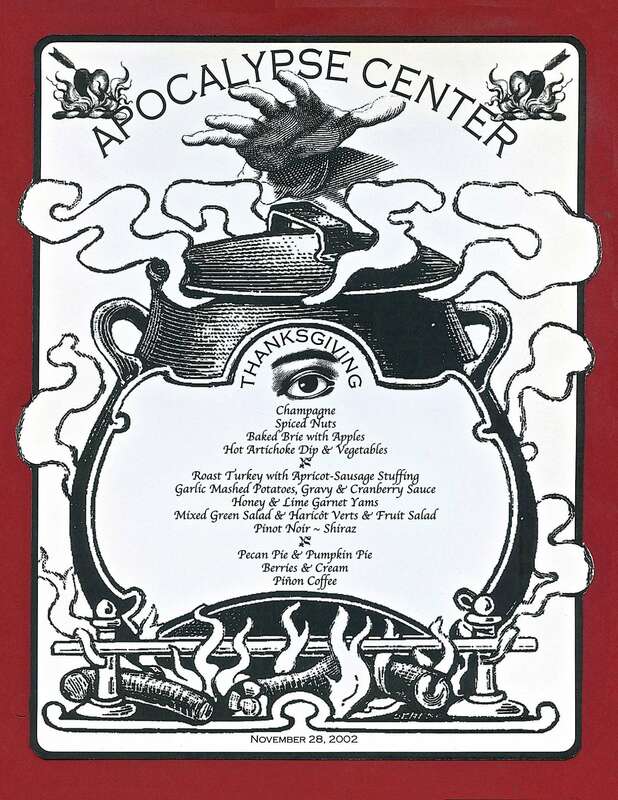 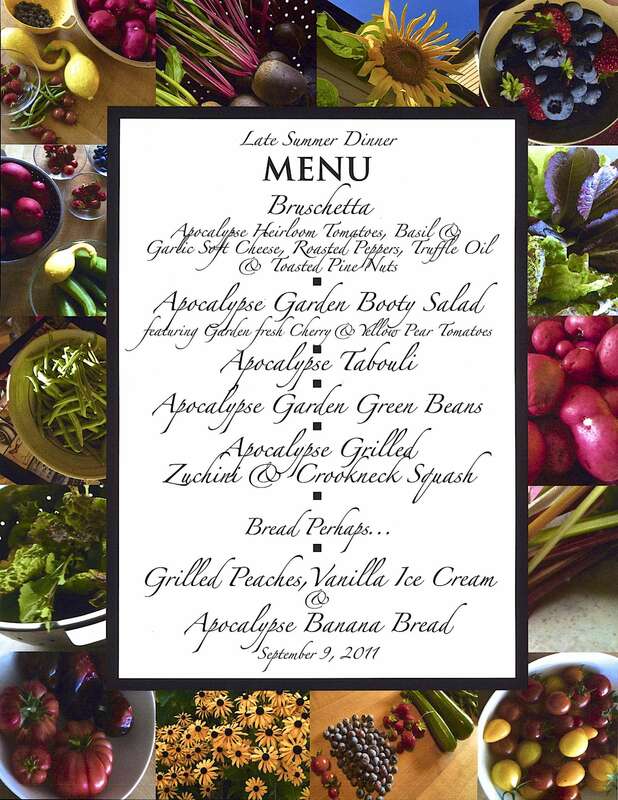 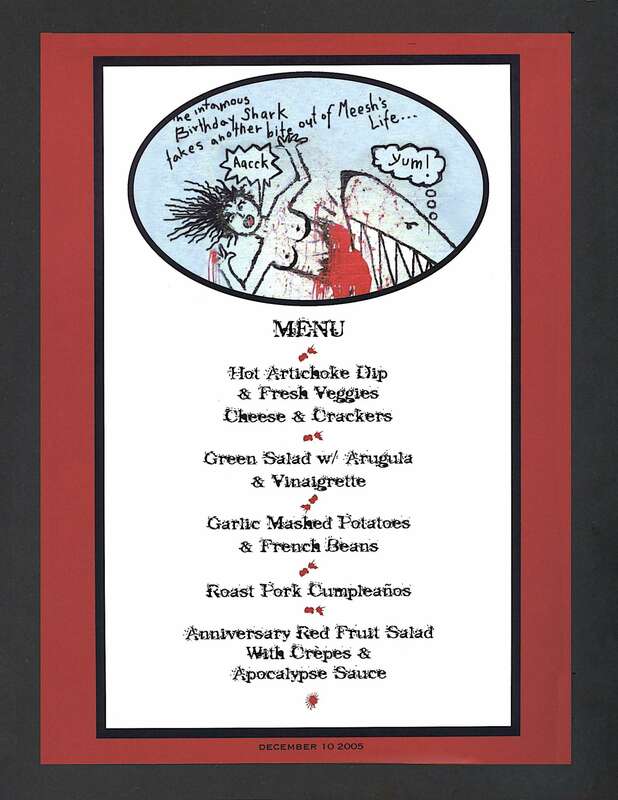 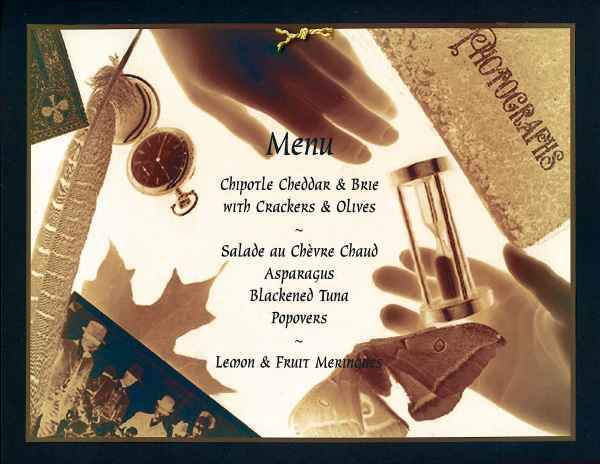 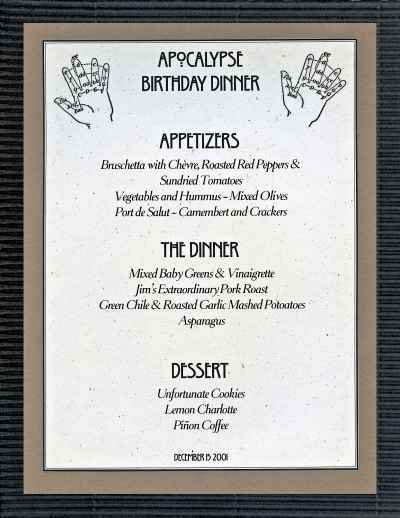 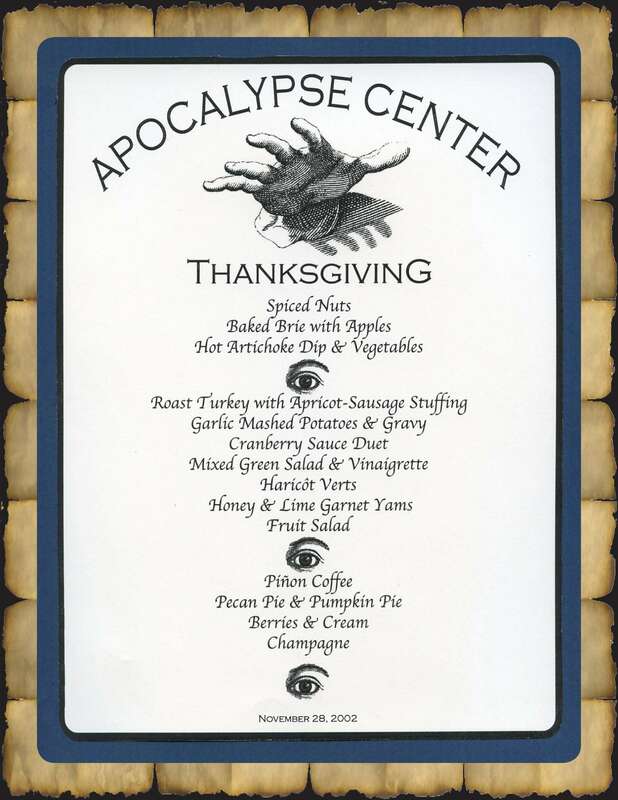 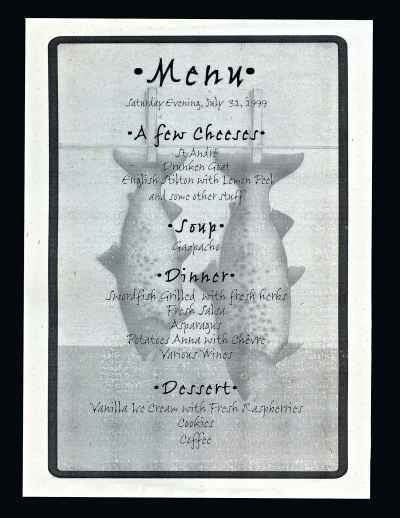 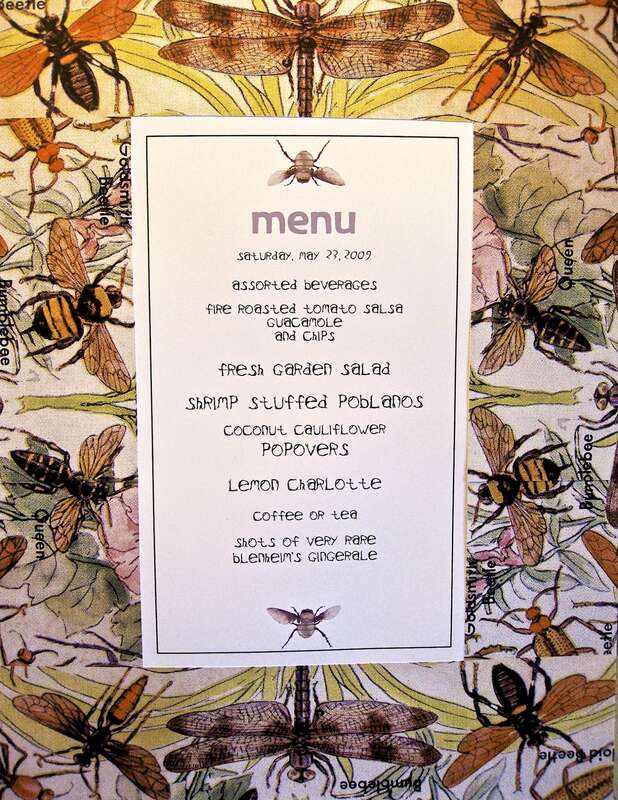 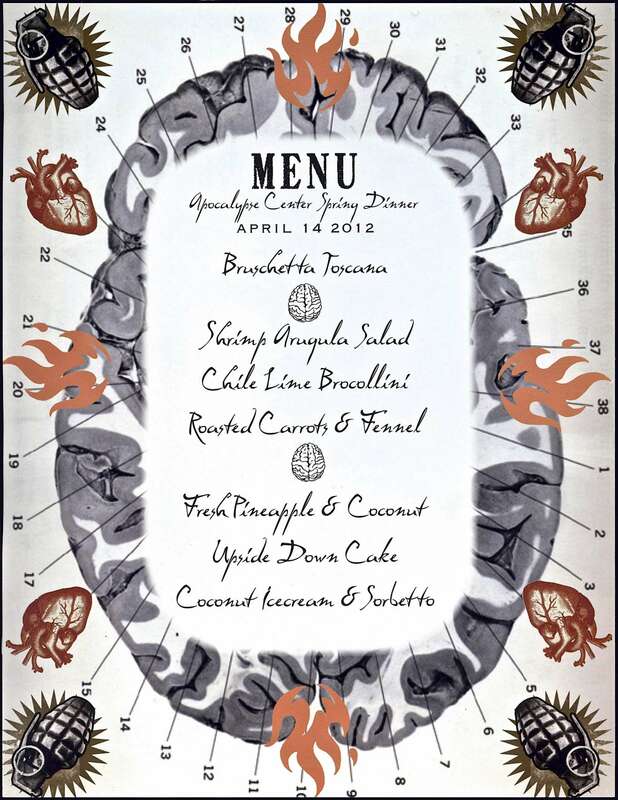 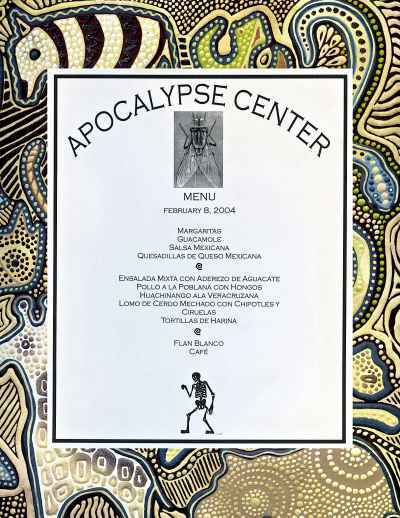 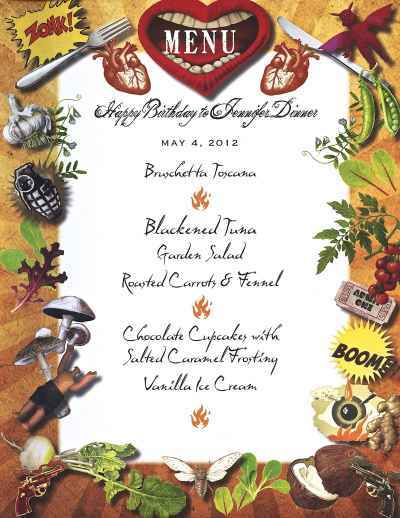 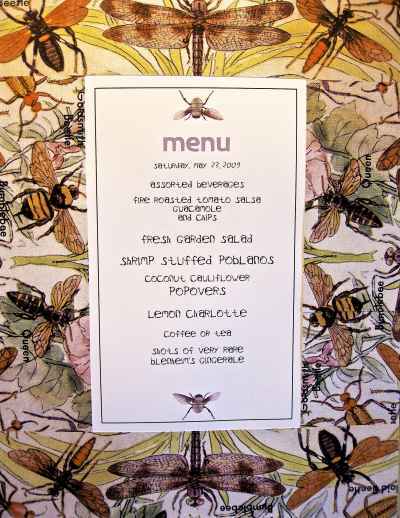 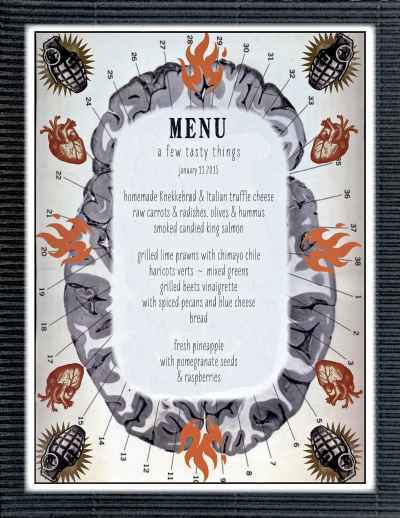 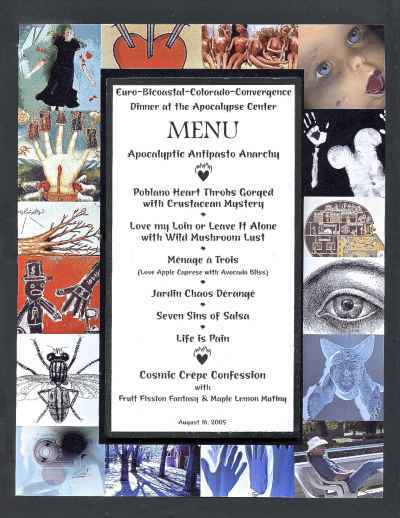 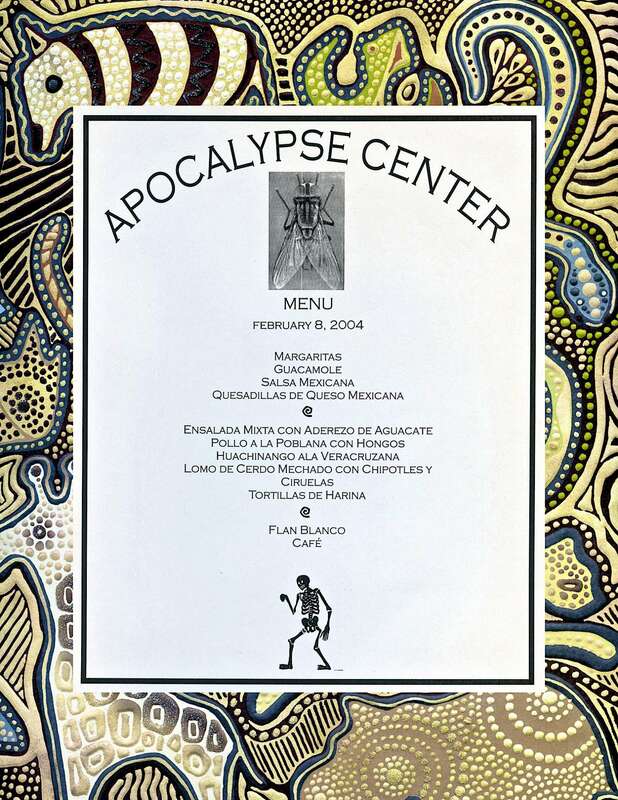 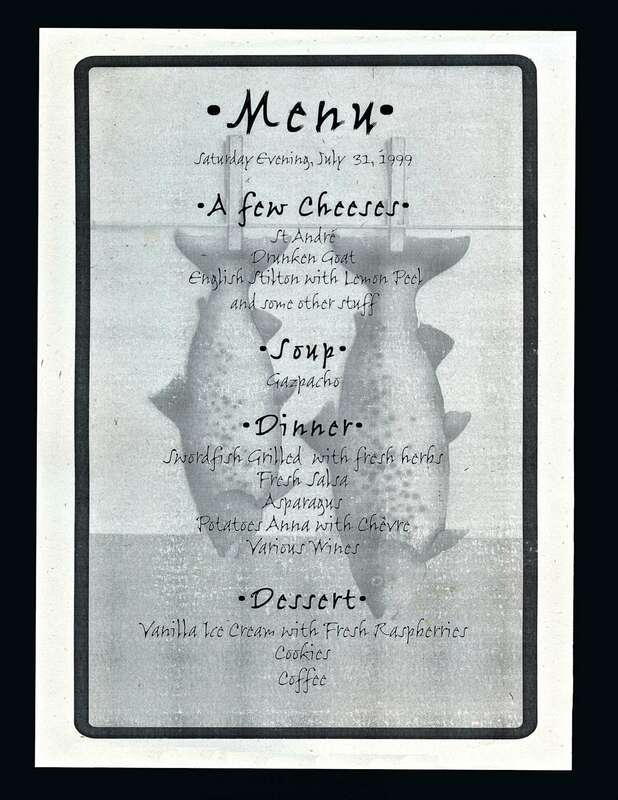 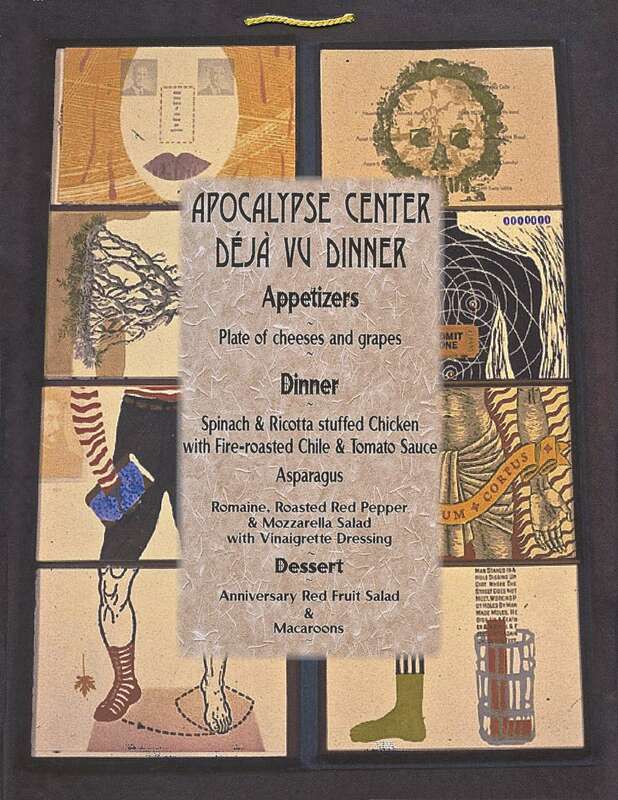 Apocalypse menus are thematic, impeccably (if not deviously) illustrated, and oh-so appetizing.